The 25th Amendment allows for the vice president and a majority of officials to declare the president unfit and remove him or her from office. Talk of invoking the amendment has been swirling around the presidency, documented most notably in The New York Times anonymous op-ed and Bob Woodward’s book, Fear. But Trusty says the amendment is intended for reasons like incapacity from medical issues, such as when former President Ronald Reagan underwent surgery after being shot. And Trusty says Rosenstein knows this. While the article describes the atmosphere of the Justice Department days after FBI Director James Comey’s firing, Trusty believes the report is telling of something much more. 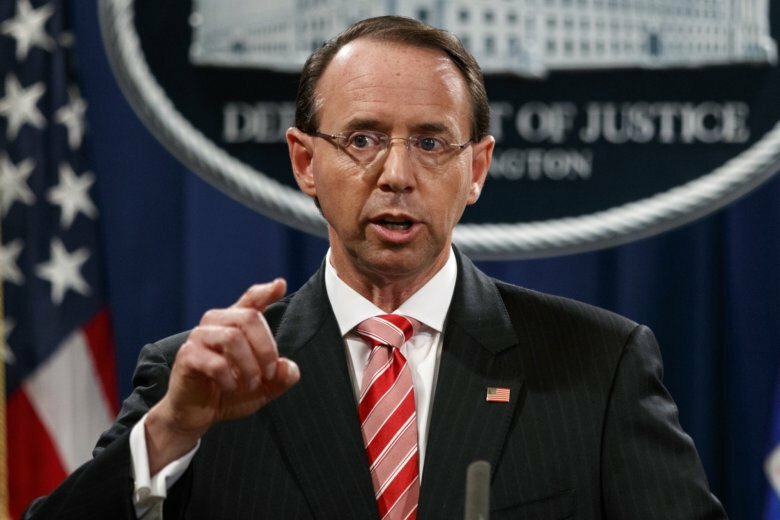 And, from Trusty’s experience, that’s not how he knows Rosenstein to be, either. Trusty says while Rosenstein has a sense of humor, he doesn’t believe Rosenstein would joke about something as serious as the 25th amendment. Trusty has known Rosenstein as a “pretty serious character” and a “button-down, by-the-book guy,” and he doesn’t see Rosenstein straying from that.